I can't even really believe I just typed the words "Camden is three." In some ways the last year went really slowly (thanks in part to being pregnant with Zoey) and in other ways it completely flew by and I feel like I was just reflecting on (and crying about) him turning two. I still haven't learned that this growing up business is hard. I just now realized that because Zoey was two weeks old when Cam turned two and a half, I didn't write a post going into all the details of him at that time. I'm sure you didn't miss it but right now I'm kicking myself for not putting something down. 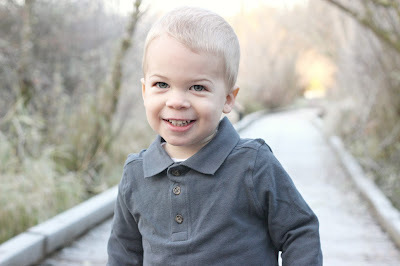 Anyway, at three years old - (and I know I am biased) he is quite the little man child. I wasn't kidding when I said he was little. He hasn't grown much since his two and a half year check, but at this point the doctor isn't concerned. His growth record thus far has proven that he's not going to be a big kid. - is quite the talker. I think he surprises people some times because he looks younger than he is (because of his size) but then they hear him talk. - gets very excited when talking some times and says "and, and, and, and, and, and..." in-between words. 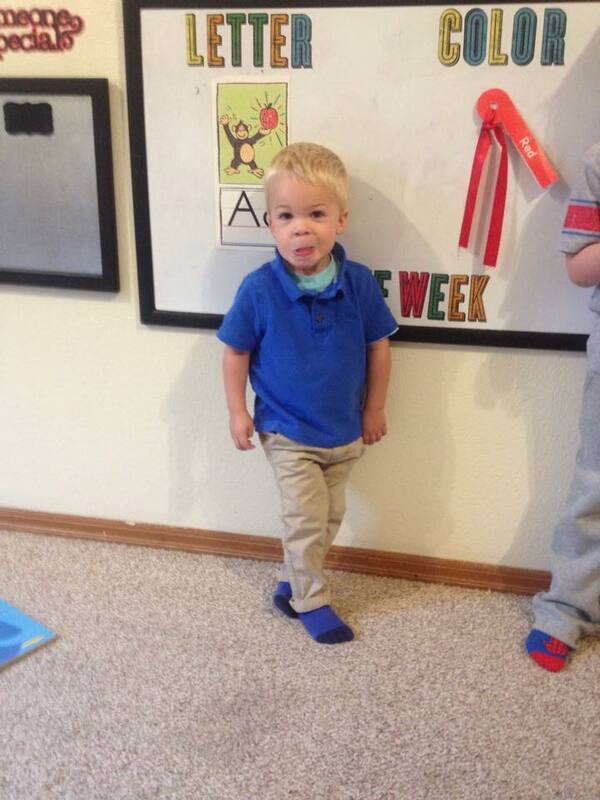 - takes swim lessons on Tuesday and Thursday nights. He loves to jump in the way swim up to the surface (on his own!) but only if I'm right there for him to swim to and there to grab when he pokes his head up. - is day time potty trained and hasn't had any accidents since we finished our three (four for us!) day potty training method. I'm knocking on wood right now. Cam, some days you drive me absolutely bonkers. But at the end of each day, I feel very lucky that I get to be your mommy and get to watch you grow into the cool little dude that you are. You are sweet and kind (most of the time), sensitive, busy and inquisitive, smart, funny, and a future force to be reckoned with on the athletic field. 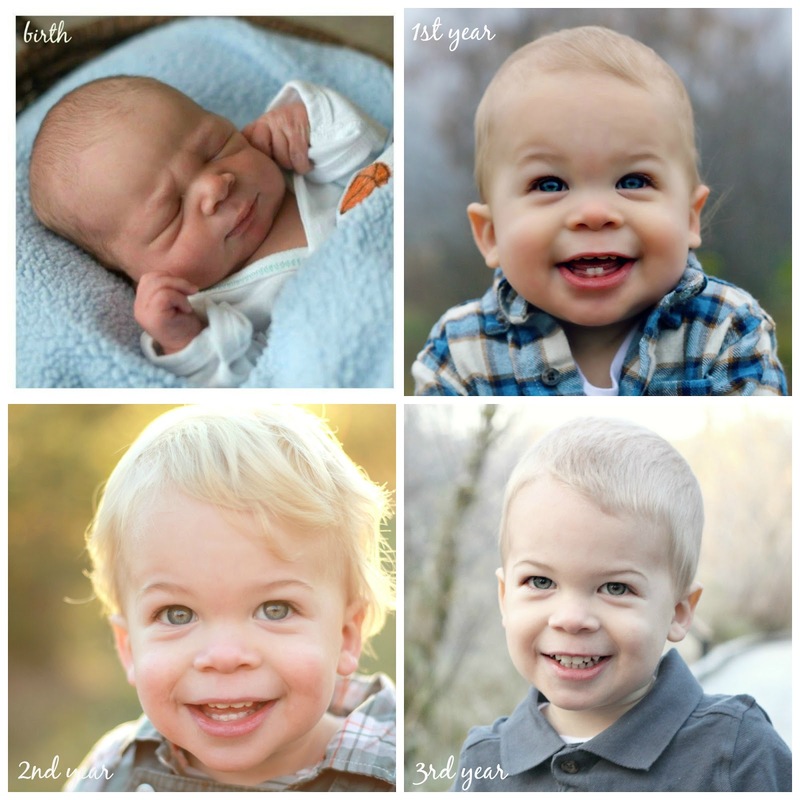 I cannot believe you are three years old today. Here's me wishing you the best year yet. I love you to the moon and the stars.